Hey hey! What’s going on? Today I’m sharing with you my latest (and worst) Sewaholic Hollyburn. Long ago I decided to share everything I’ve sewn that’s wearable, even if it’s garbage. And now here we are! AH-HA! Waist is actually an inch and a half too big. SO. MUCH. SADNESS. When I cut the fabric I knew I didn’t have enough to add a center front seam so I omitted it and cut it on the fold less 5/8″. So THIS SHOULD NOT HAVE HAPPENED! Needless to say, I’m upset. 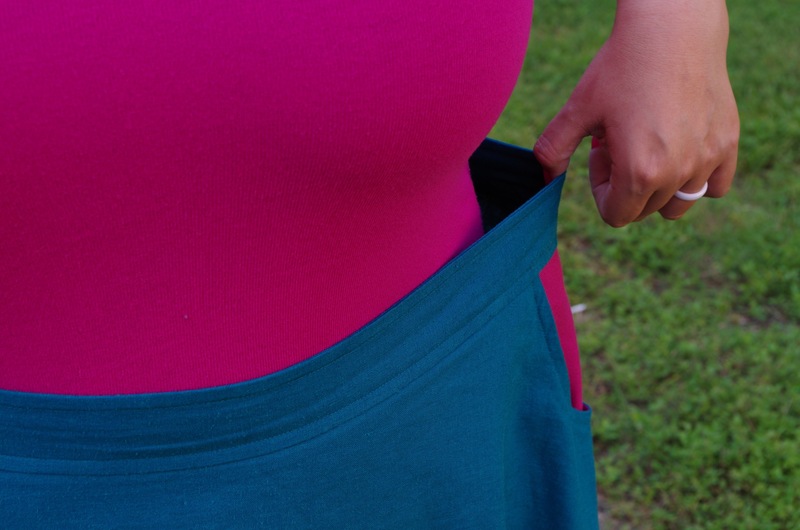 The waistband is also 1/4 ” too wide…This is what happens when you stay up too late and sew. Lesson learned. 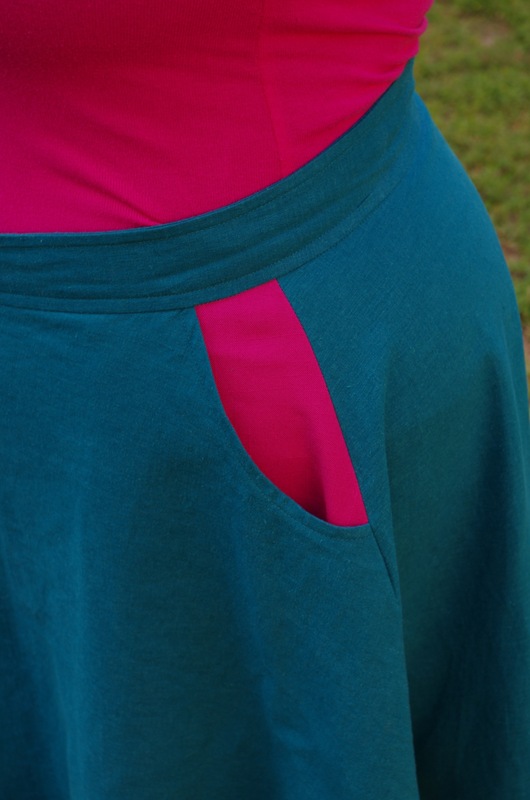 Since I didn’t have enough fabric I used leftovers from my pink Hollyburn for the pockets and I like the contrast. Matches my shirt nicely! I’m not looking forward to taking this apart but I will one day in the future. Like, a day far, far away. Like my natural hair? Since it’s already becoming miserable in Texas, I’ve decided to grow my bangs out until winter. Feel so good to pretty much wake up and do nothing to my hair. I have started an Asian Beauty regimen so that alone takes up 1 1/2 hours of my morning! So worth it though. Seriously…my eye bags have disappeared after two weeks! Thank you! I’ll fix it one day soon. It’s just so discouraging when something is slightly off! As a fellow sewer, you know how I feel.